What is it? An open-source, instant messaging app that encrypts messages and voice calls between you and your contacts. How is it of use to journalists? Phone calls and text messages on our phones are not always secure, and much of our private information transmitted in this way can be easily intercepted. Like WhatsApp's latest version, Signal uses end-to-end encryption to secure all communications you have with other users of the app, so journalists can safely send and receive text messages, media and attachments. To get started, simply download the app to your device and allow it to import your contacts from your phone. You will not need to enter your email, set up an account or create a new password – just authorise the app on your device with the verification code sent to you via text message. Once you are all set up, press the pen icon in the upper right-hand corner to start a new message with an individual contact, or create a group chat with multiple people. The app has multiple ways to verify that your personal communications have not been intercepted. For calls, all of which are made using mobile data or Wi-Fi, Signal displays the same two words on both the screen of the caller and that of the receiver, allowing users to ask their friend/colleague/source to say the words back to them, thereby verifying their identity and confirming that the call has not been hacked. 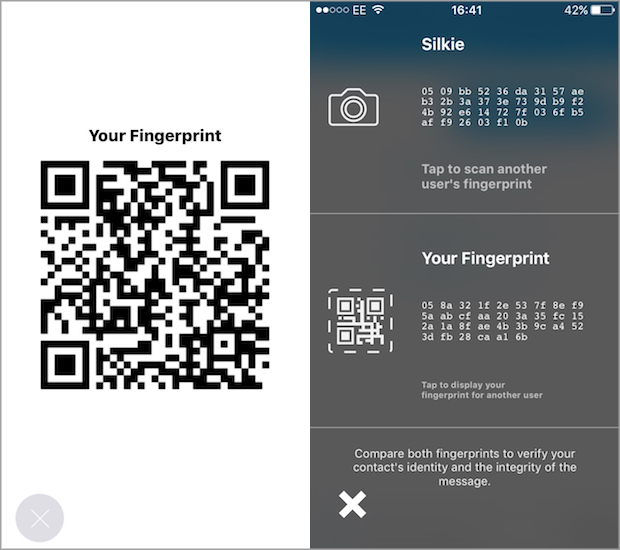 For text messages, users can compare digital fingerprints or scan QR codes to verify the identity of the person they are calling. This is done by opening a specific conversation, tapping and holding down the name of the person you are contacting, which can be found at the top of the screen. You will then see both yours and their digital fingerprint codes and pictures, and you can ask your contact to verify their identity by reading out the numbers in their digital fingerprint. Alternatively, if you are standing next to the person in question, you can manually scan their QR code with your phone's camera to prove their identity. Signal will also notify users if a correspondent's security key changes due to logging in from a different device, for example, so they can go through the entire encryption process again before transmitting important information. 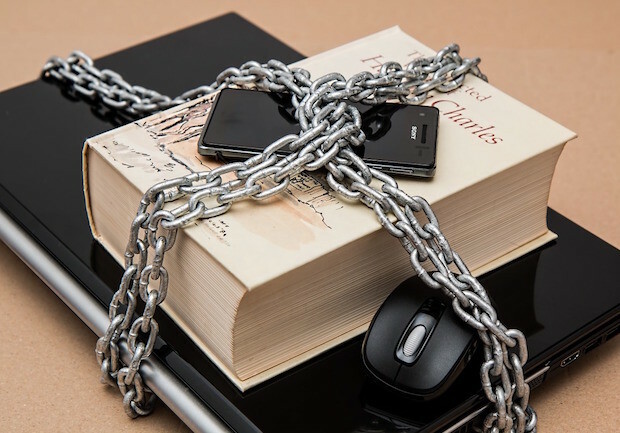 For more tips and advice on communicating securely, check out this two-part series on encryption for the working journalist.